Harlan Parker has been the conductor of The Peabody Conservatory Wind Ensemble and Coordinator of the Music Education Division at the Peabody Conservatory of Music of The Johns Hopkins University since the fall of 1990; and in the fall of 2007, he was appointed as the Conductor of the Peabody Youth Orchestra. Dr. Parker is also the Music Director/Founding Conductor of the newly formed Peabody Modern Orchestra at the Peabody Conservatory, which was started in the fall of 2013 season. Under his direction, the Peabody Wind Ensemble has given over 40 world premieres, and has performed at State, Regional and National Conventions. Their debut CD, From an Antique Land, has been praised as one of the most exciting wind ensemble recordings in recent times and the second CD, Orff, Bird and Reed, was re-released in August 2006 on the Naxos label. Of the performance of La Fiesta Mexicanaon the second CD, composer H. Owen Reed, in a letter to Dr. Parker writes, "I have just listened, twice, to your brilliant recording of my La Fiesta Mexicana, and I must tell you that it was a thrill to hear my music performed exactly as I always hoped for. Your total understanding of the work showed up on all parameters. Your tempos were on the mark, and the overall conception of the work was superb." The Orff, Bird and Reed CD was also listed on the "Best of the Year Discs for 2006" by Audiophile Audition. Their second CD for Naxos, Collage: A Celebration of the 150th Anniversary of the Peabody Institute: 1857 - 2007, was the top classical music download (out of more than 12,000 CDs) on eMusic.com for the first half of April 2007. Their third CD for Naxos, Trendsetters, was released in the summer of 2009. Their fourth CD with Naxos, Johan de Meij: The Symphonies was released in June of 2013 . Considered "among the very top wind bands in the US" (Fanfare), the Peabody Wind Ensemble continues the recording sessions in upcoming years. As well as his duties at Peabody, Dr. Parker has a very active musical life outside of the Conservatory. He is a Past-President of The Conductors Guild, an international service organization dedicated to encouraging and promoting the highest standards in the art and profession of conducting. Dr. Parker is also a member The American Bandmasters Association, an organization whose membership is by invitation and recognizes "outstanding achievement in the field of the concert band and its music." 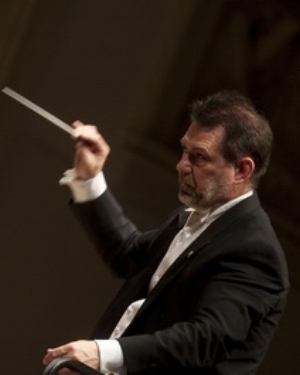 He is active regionally, nationally and internationally as a guest conductor, conducting pedagogue, clinician and adjudicator, having worked with professional musicians and students from all 50 states and over 40 countries. In his first year as a faculty member at Peabody, Dr. Parker reorganized the Peabody Wind Ensemble in its present format after several years of non-existence and was awarded the Peabody Student Council Faculty/Administration Award for outstanding contributions to the Peabody Community. In the fall of 2000, Dr. Parker accepted the first graduate class of Wind Conducting students. Graduates and students of the program are teachers and conductors in high schools and colleges and conductors of military bands, with the most recent Doctoral student accepting a position as a conductor with the United States Air Force Bands. Dr. Parker received his Bachelor of Music from Emporia State University and his Master of Music and Doctor of Philosophy in Music Education with an emphasis in Conducting from the University of Kansas and has completed post-doctoral work at theLaban/Bartenieff Institute of Movement Studies in New York.